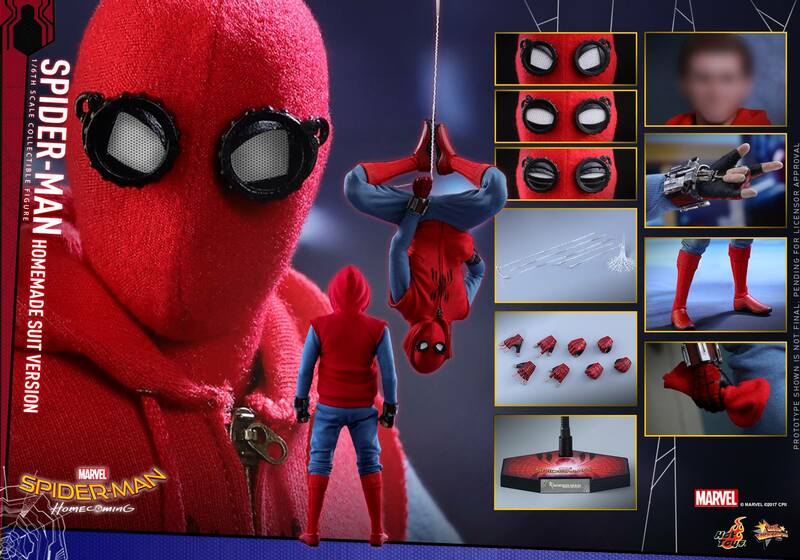 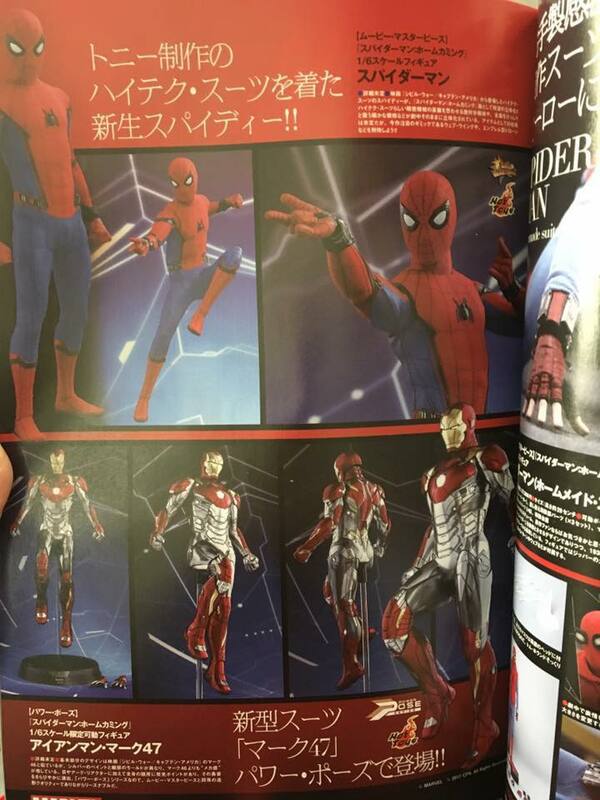 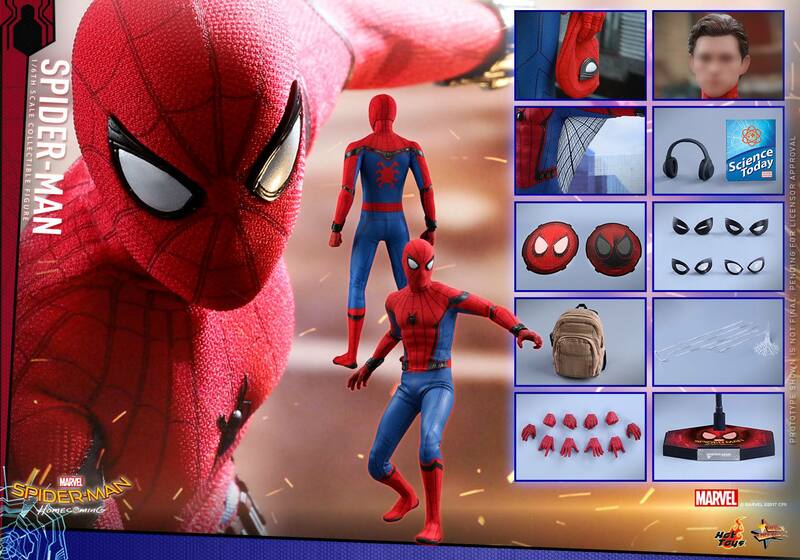 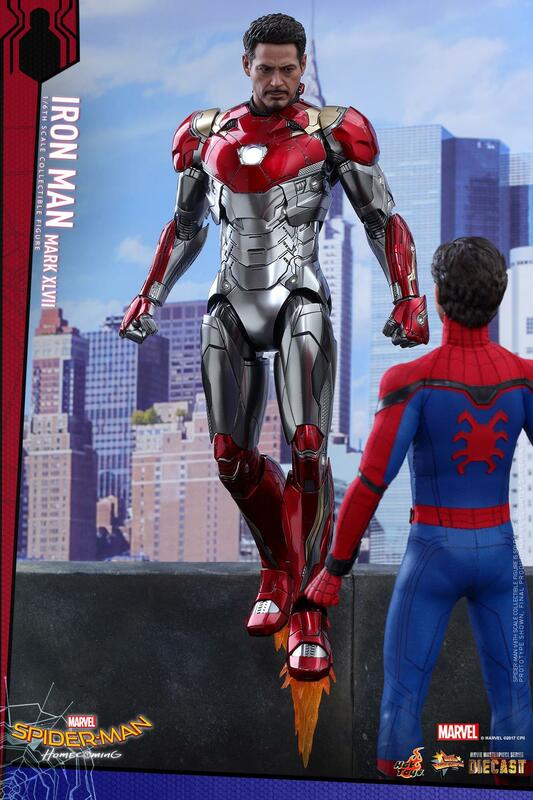 Back in April, we got a look at the first Iron Man collectible Hot Toys was releasing for Spider-Man: Homecoming. 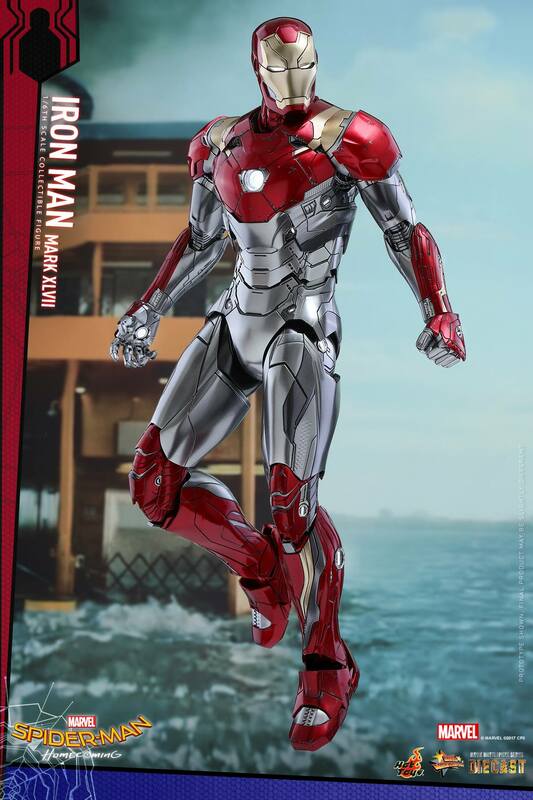 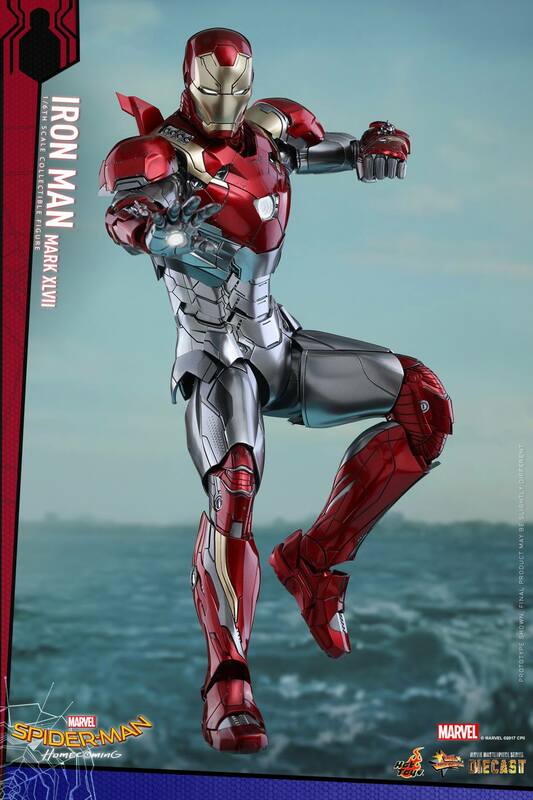 Instead of a figure, that reveal was for their Iron Man Mark XLVII Power Pose Collectible, which is basically a statue. 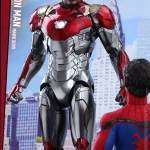 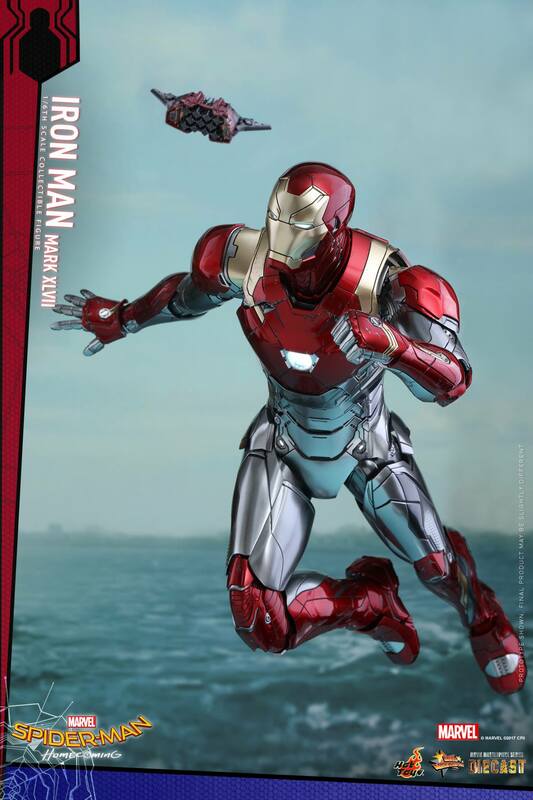 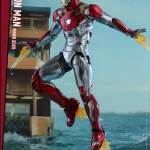 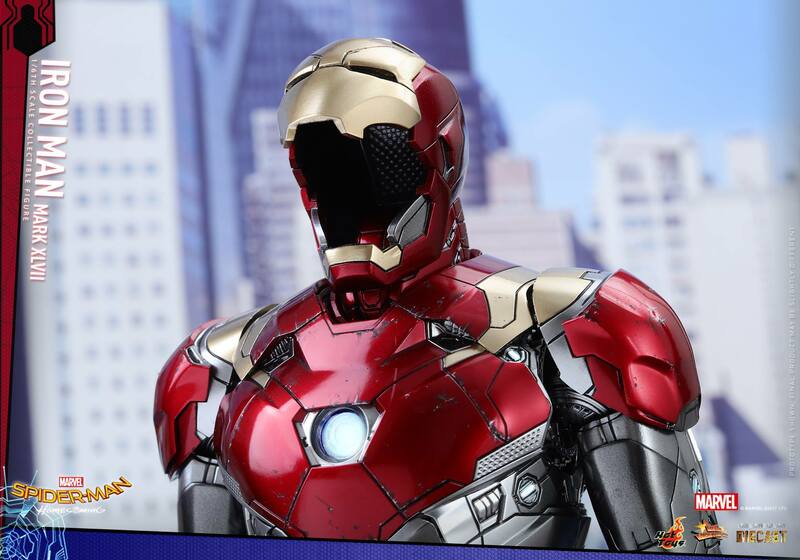 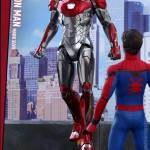 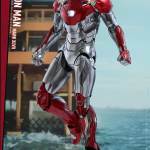 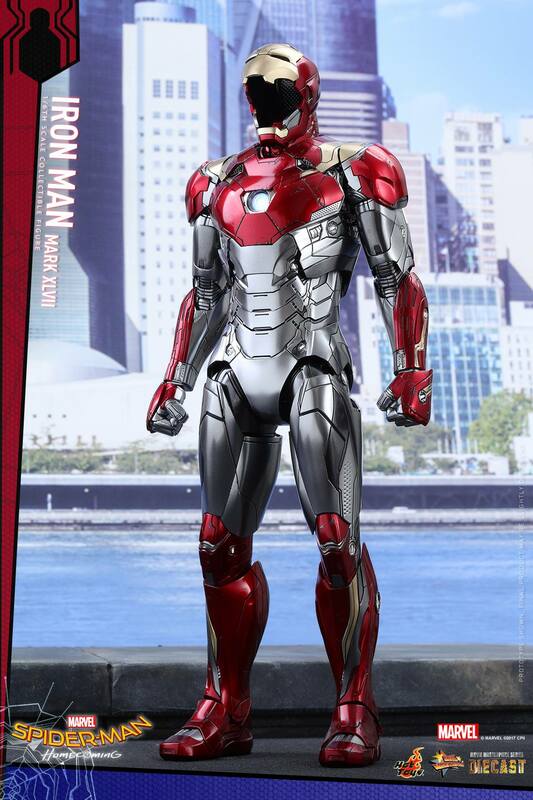 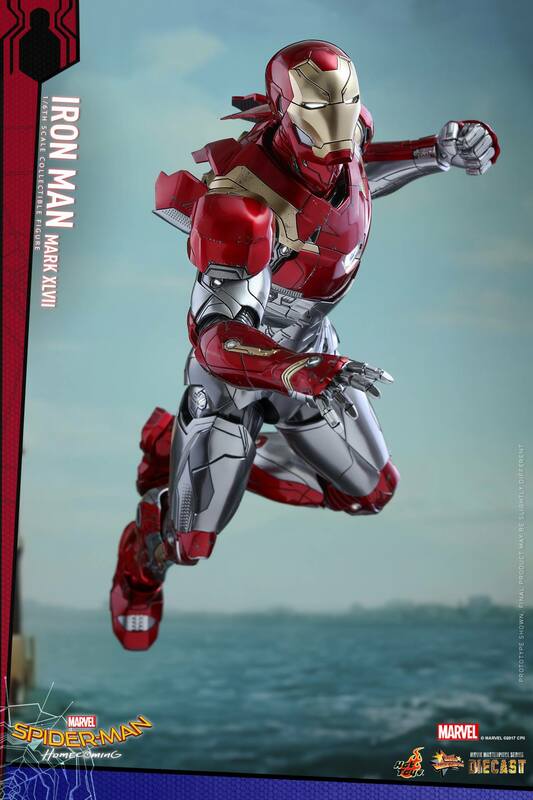 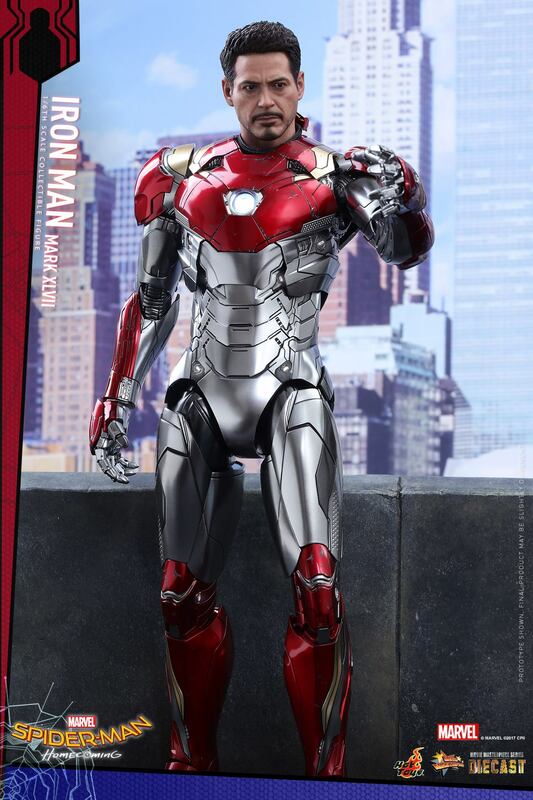 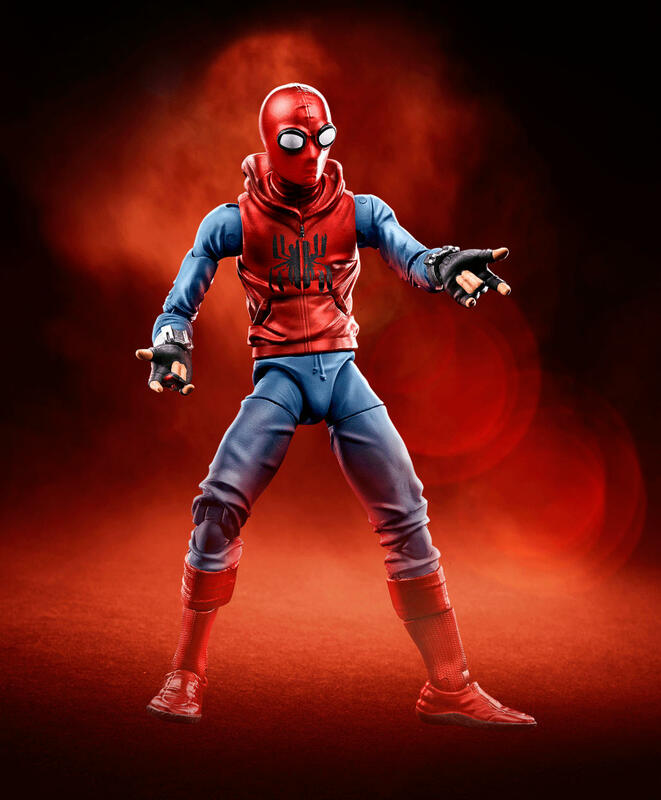 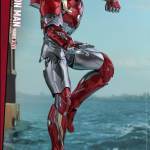 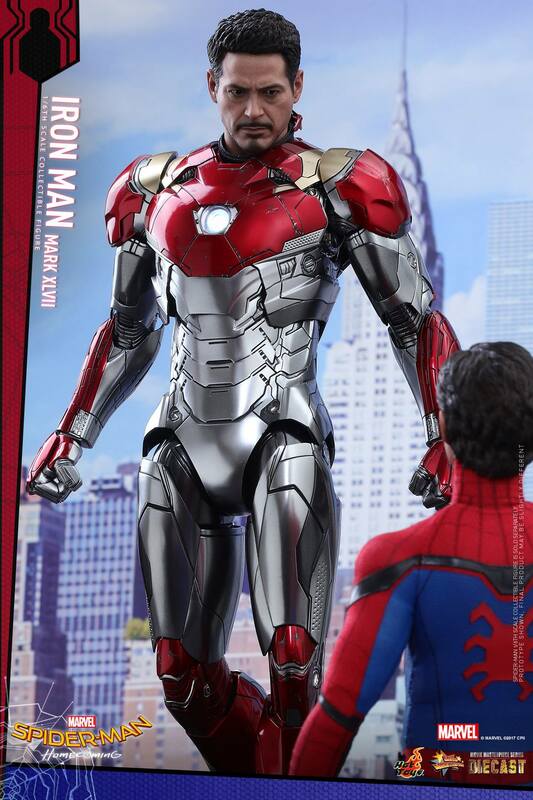 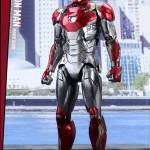 Now they have finally released photos and details for he proper Spider-Man: Homecoming – Iron Man Mark XLVII 1/6 Scale Figure. 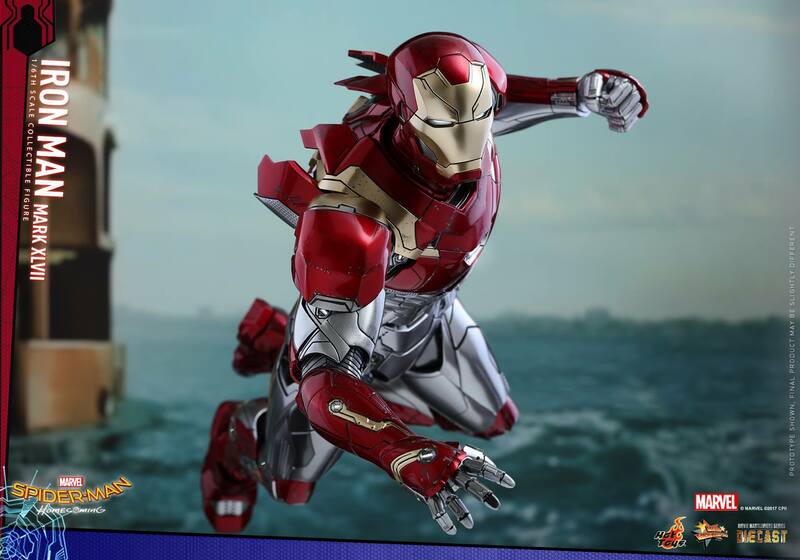 This figure is part of their Diecast Movie Masterpiece series. 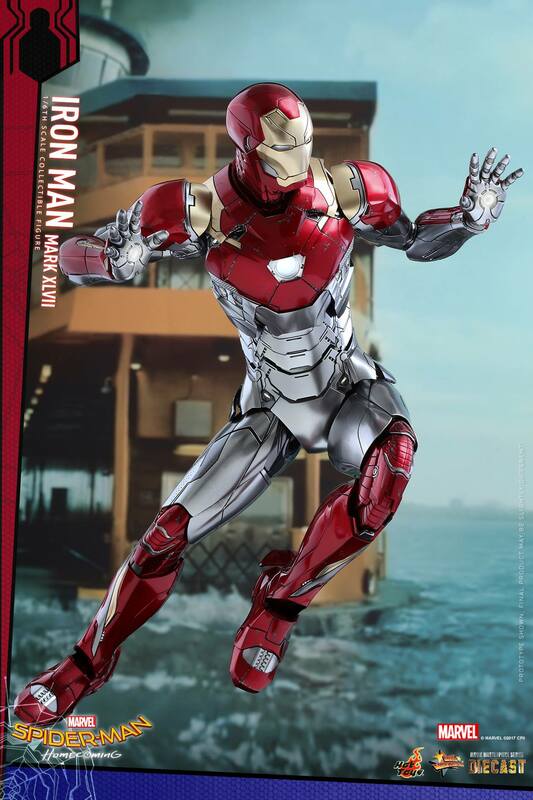 Iron Man stands about 12.6″ tall, has over 30 points of articulation and multiple LED light up features. 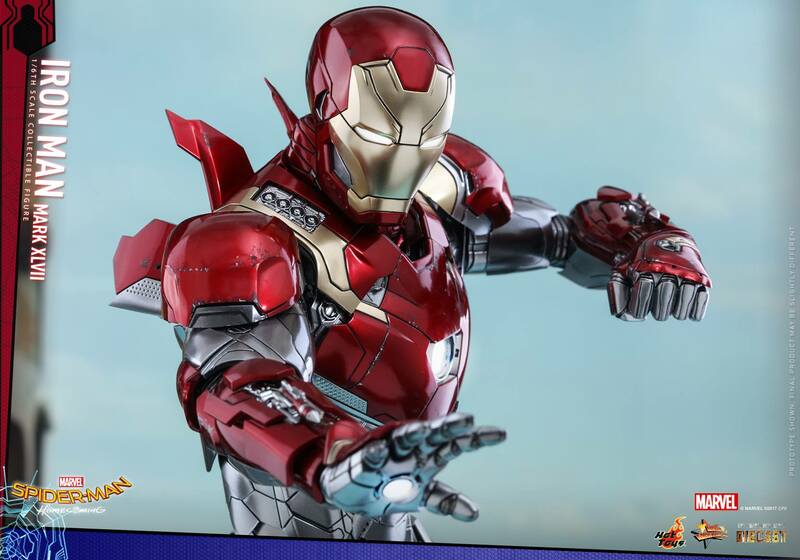 It includes both helmeted and unhelmeted head sculpts. 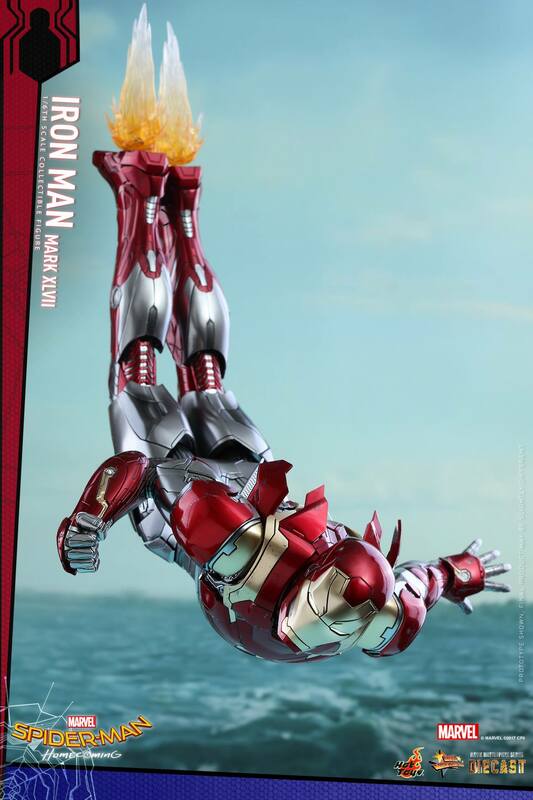 Check out the full details below and the photos after the jump. 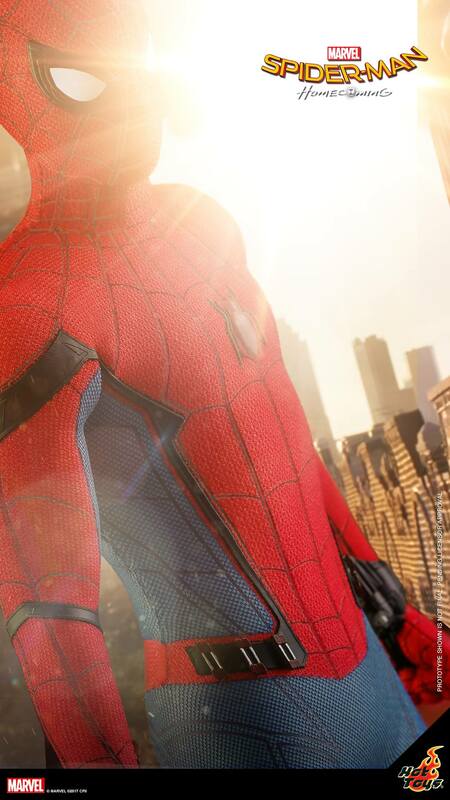 Counting down, one of the most anticipated blockbusters of the year, the Spider-Man: Homecoming will be showing on the silver screen fairly soon. 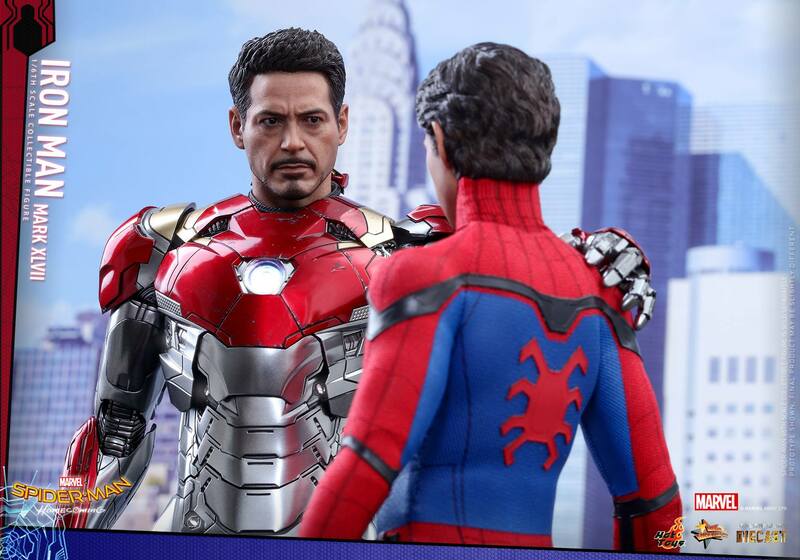 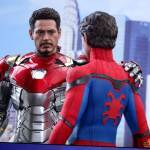 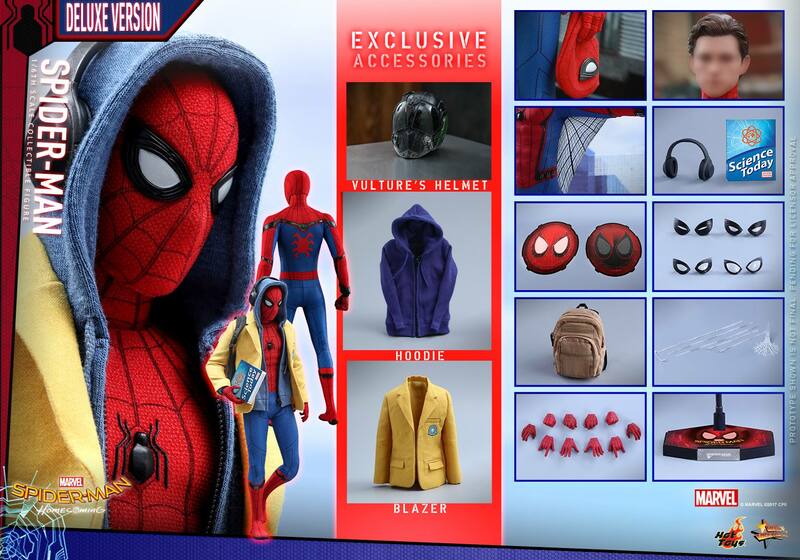 Following the events of Captain America: Civil War, Tony Stark took up the role as Peter Parker’s mentor, guiding him to strike a balance between his dual identity being a high school student and a superhero. 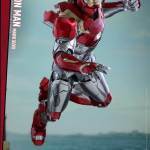 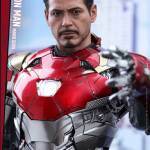 With Spider-Man: Homecoming only weeks away from hitting the theatre, Hot Toys is very excited to present to you our latest Iron Man Mark XLVII as an extension to the Hot Toys MMS Diecast Series. 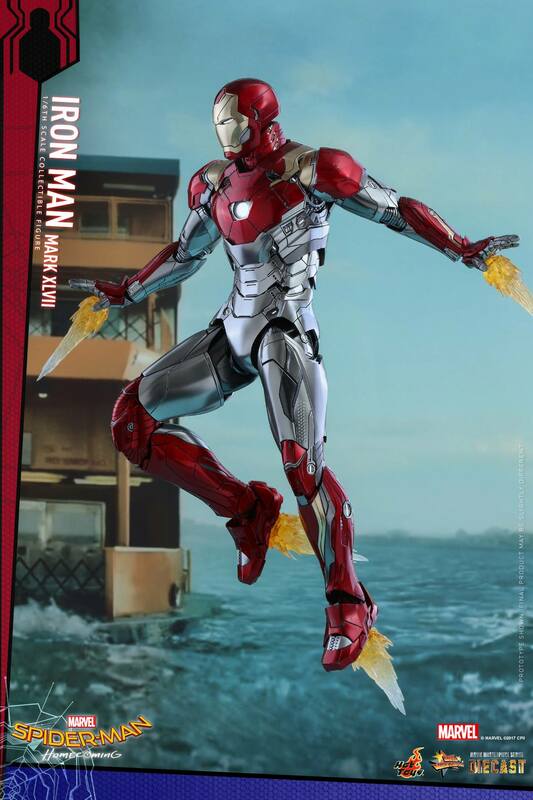 Made with fine diecast materials, the much elaborated Iron Man XLVII figure stands approximately 32 cm and with 28 LED light-up points throughout the body. 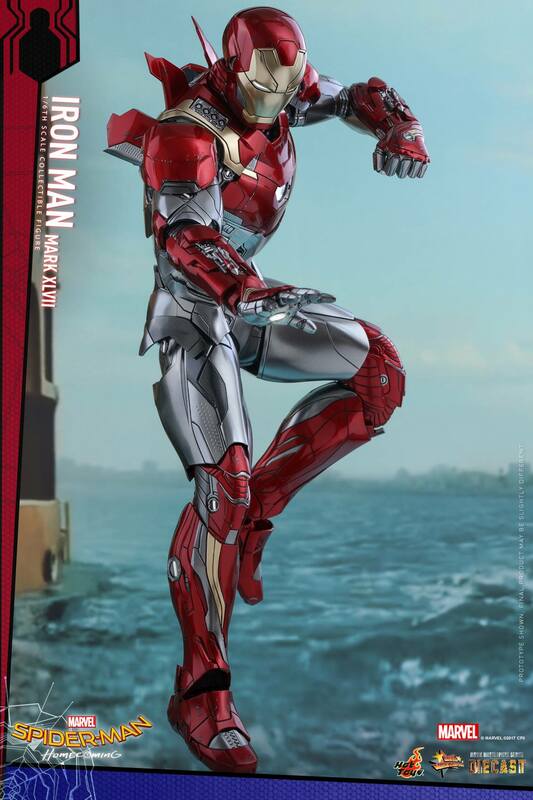 The streamlined armor is expertly painted with metallic red and gold colors and a distinctive two-toned silver color in the mid-section. 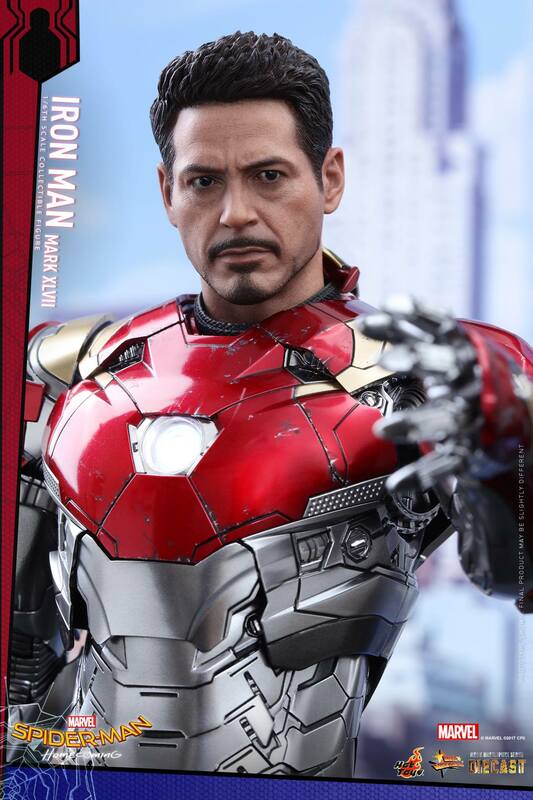 An array of components are added to the figure including: a newly painted Tony Stark head sculpt featuring likeness of Robert Downey Jr., an interchangeable LED light-up helmeted head, an interchangeable empty helmet emulating the suit in remote control mode, interchangeable armor parts and a specially designed figure stand. 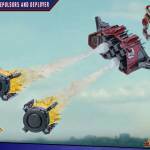 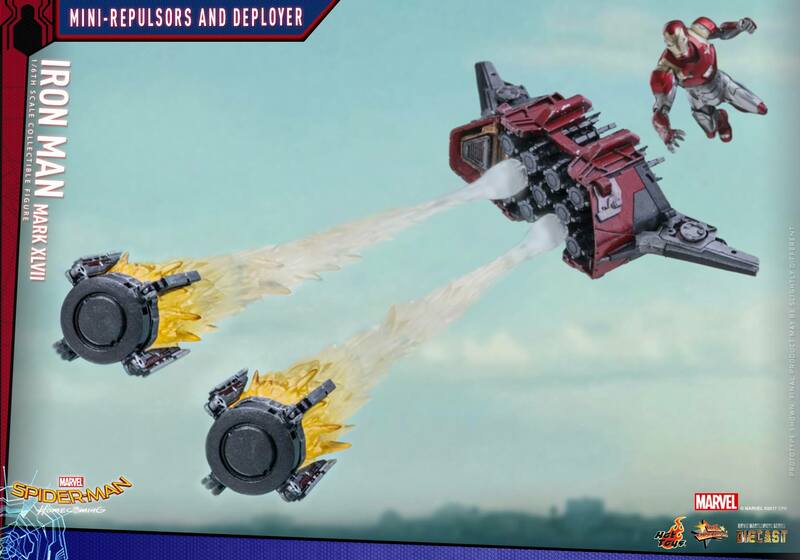 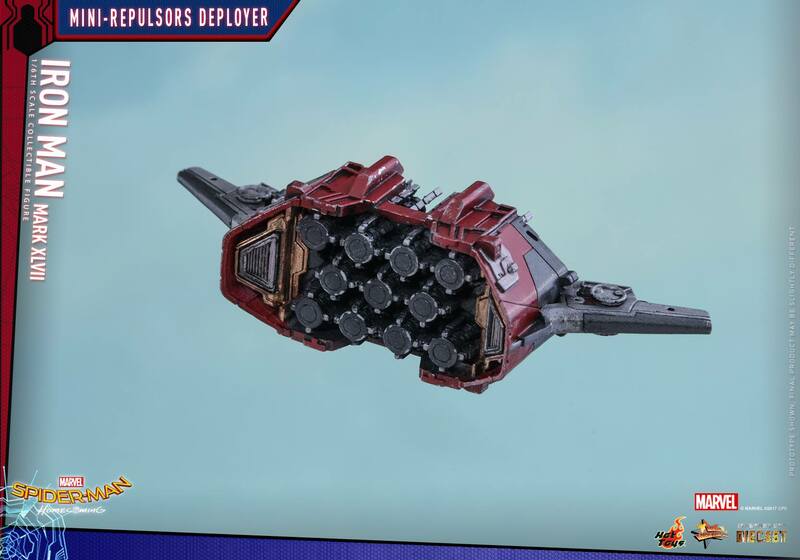 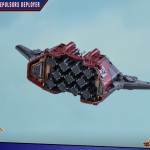 Furthermore, a mini-repulsors deployer with two articulated mini-repulsors and thrust fire effect parts are specially included for this new Iron Man armor! 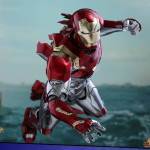 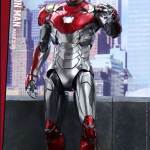 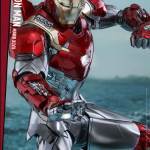 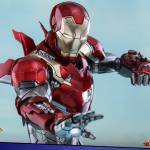 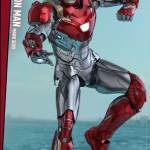 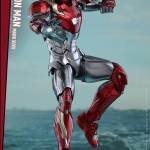 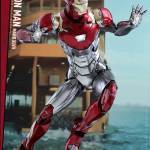 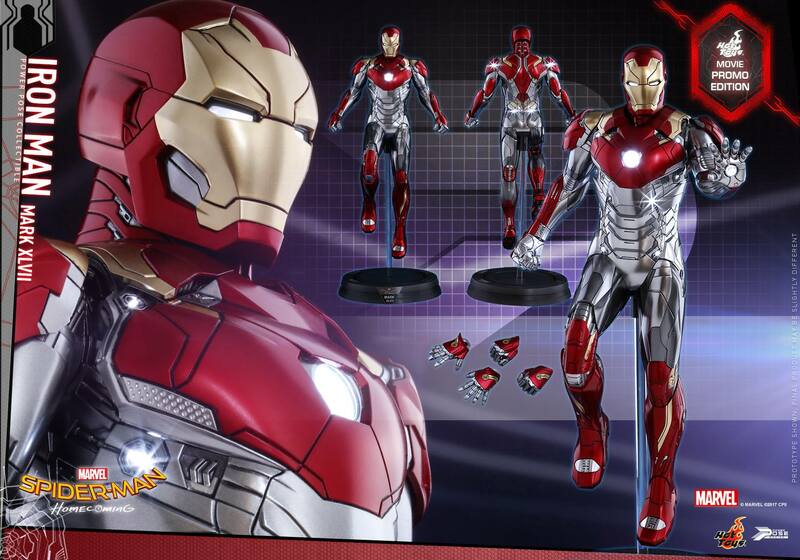 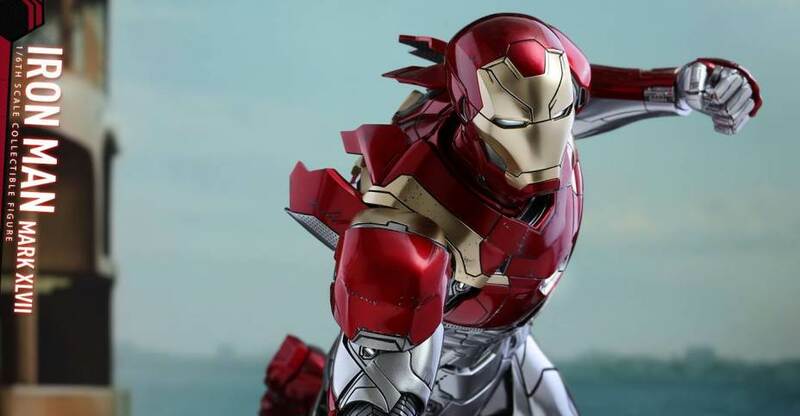 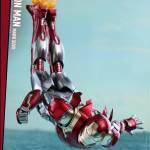 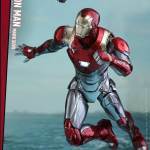 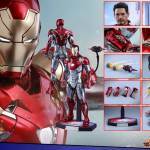 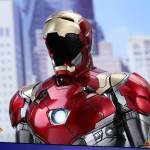 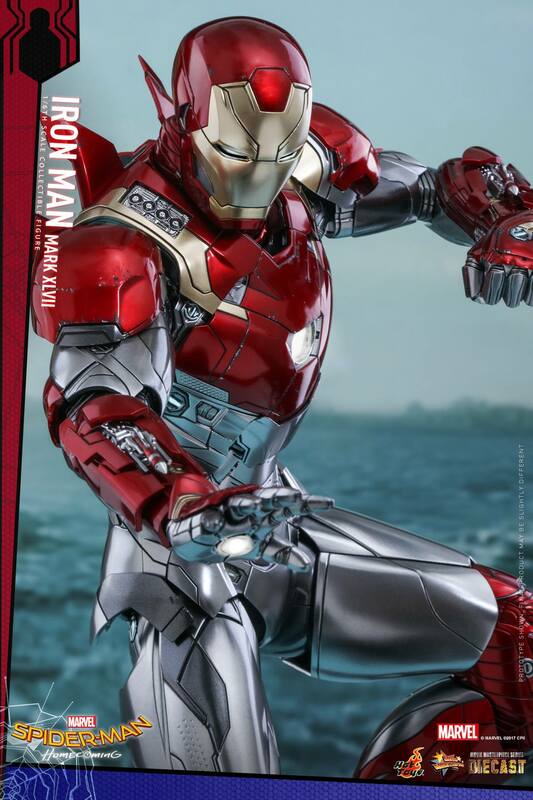 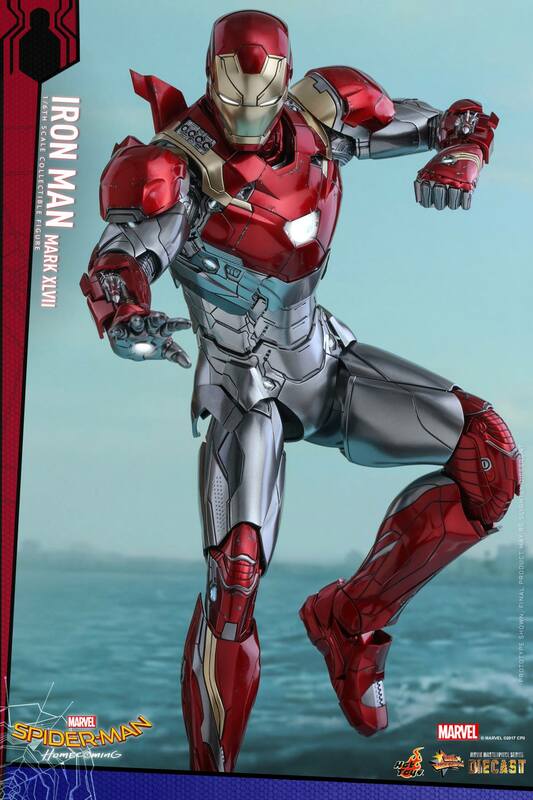 This Iron Man Mark XLVII collectible figure is something you do not want to pass up. 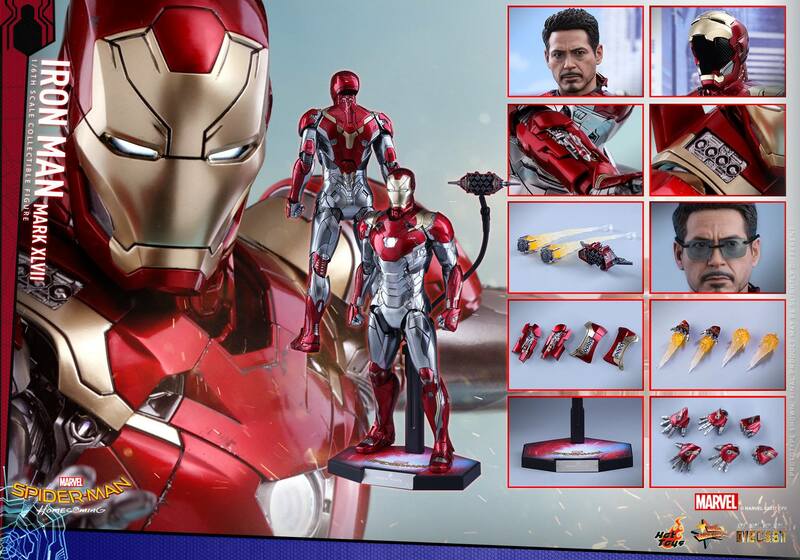 It will definitely be an excellent addition to your Iron Man collection.